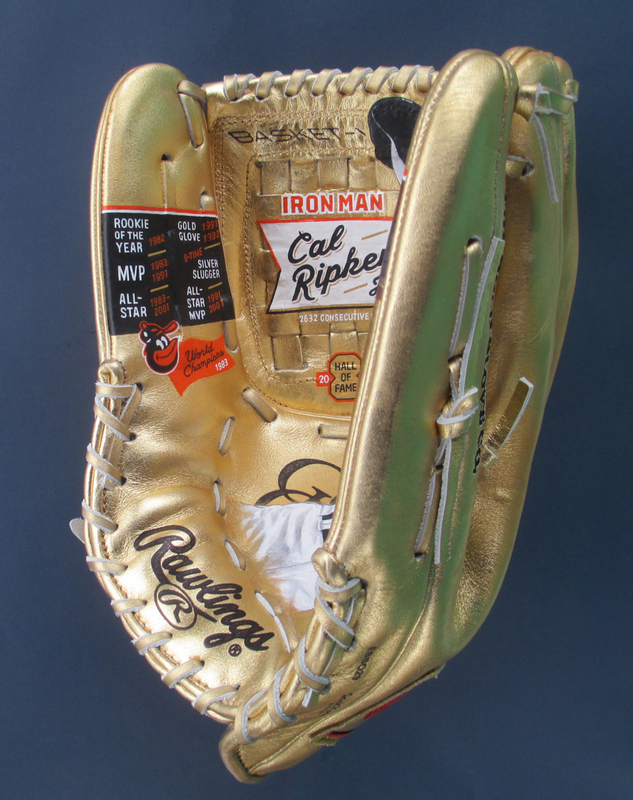 Cal Ripken, Jr and his consecutive games played record-breaking achievement celebrated on a Pro-size Rawlings Gold Glove. 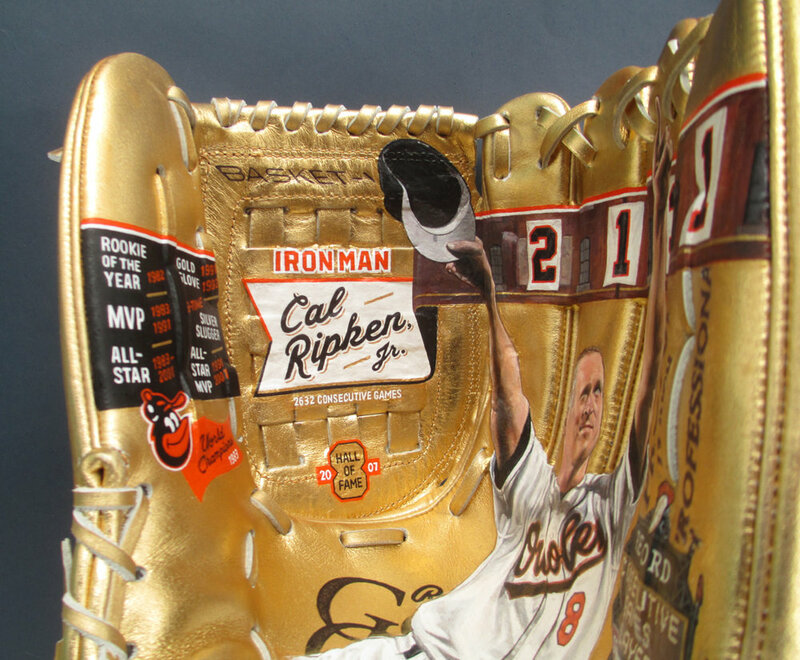 The Cal Ripken Sr Foundation commissioned this painted glove for their 14th Annual Aspire Gala in 2018. The Ripken Foundation gala event honors sports and community leaders and raises funds for the foundation's work around the country supporting programs for at-risk youths. They plan to build their 100th ball field this year, state-of-the-art facilities for communities around the U.S., among other programs. 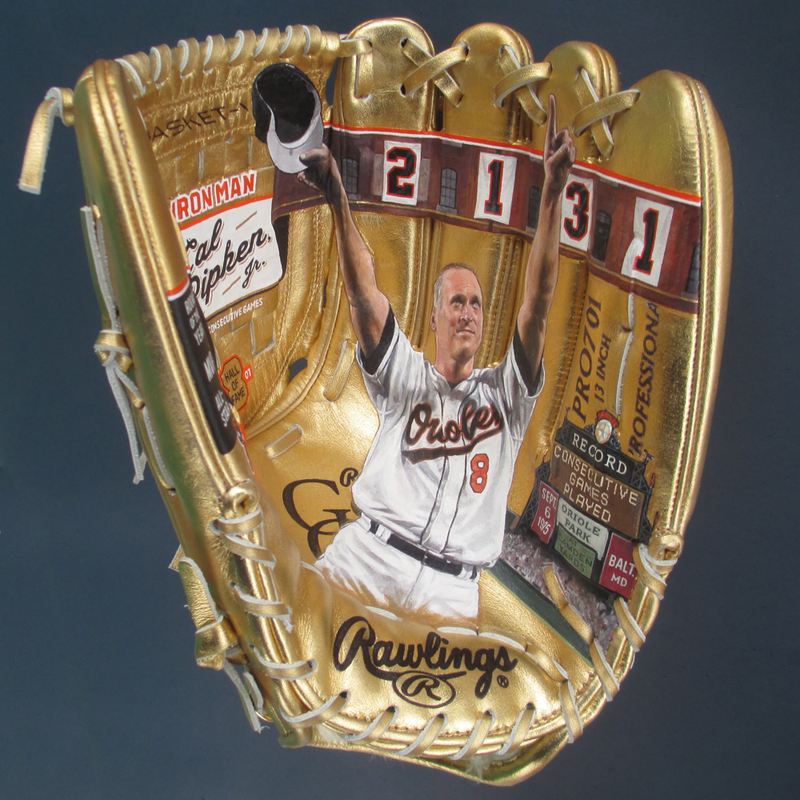 The artwork helps to capture the moment when Ripken surpassed Lou Gehrig's consecutive games played streak on September 6, 1995 at Oriole Field at Camden Yards in Baltimore. The 2131 banners unveiled on the warehouse wall indicate Cal's record-breaking game. He went on to play 2632 straight games. 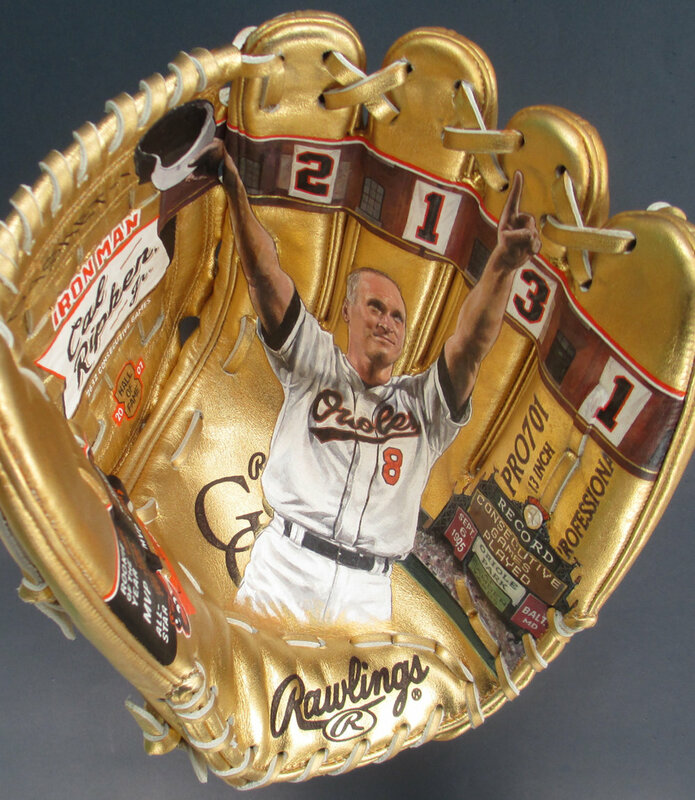 Rawlings and the Ripken Foundation provided the pro-sized 13-inch authentic Gold Glove that was used for the painting. The scoreboard at Camden Yards is used as the backdrop for details about the record-breaking night. Ripken's illustrious, Hall of Fame career achievements are featured along the left side. 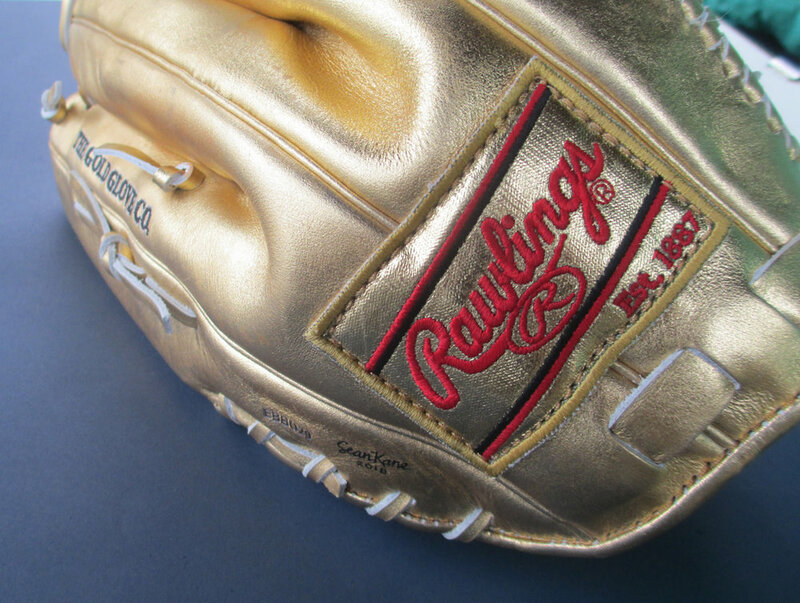 These include Rookie of the Year, MVP, All-Star, Gold Glove Awards, Silver Slugger and All-Star Game MVP awards. 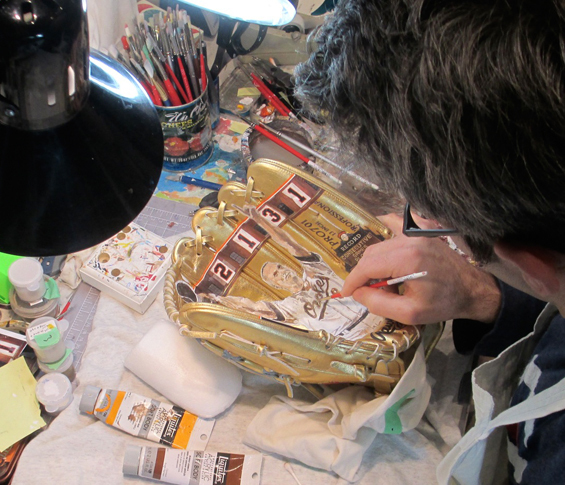 Glove painting in progress. 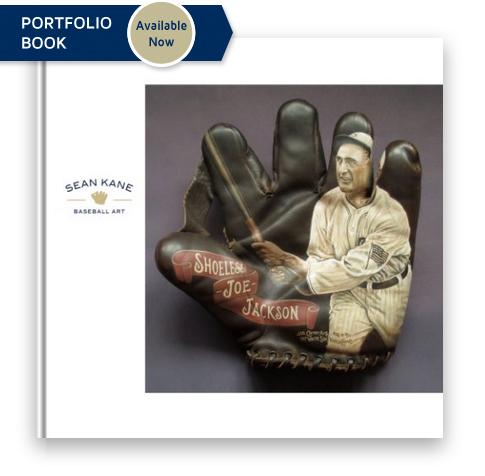 It took over 120 hours to complete the artwork, including research, design, preparing the glove and then the detailed painting. Also the Orioles bird is there with a 1983 World Series champions banner. Reference for the portrait is the iconic photograph by Scott Wachter. Big thanks to the Ripken Foundation for inviting me to have a role in their efforts and putting this artwork to good use. Artist, meet Iron Man; Iron Man, meet Artist. A brief chance to say hello to Cal at the Ripken Foundation event in Baltimore.